The ThickShake Factory, India’s first premium milkshake brand is one of the most awarded & fastest growing shakes brands in the country, having 105 outlets currently operational in 26 cities including one in the US. 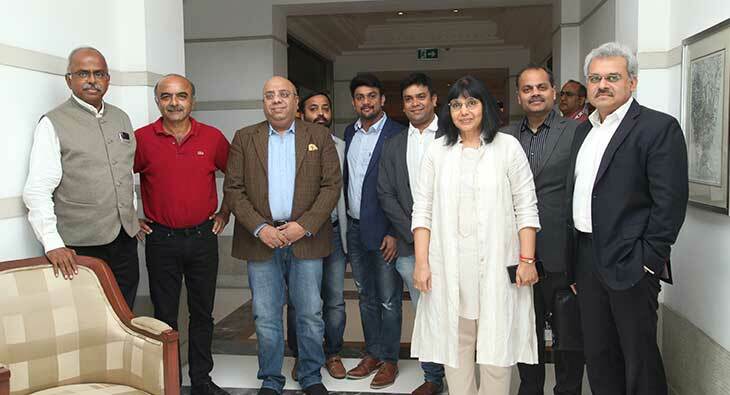 The QSR chain specializing in retailing shakes had its 1st advisory board meeting at the ITC Maratha, Mumbai. The brand is founded and run by brothers and entrepreneurs M. Yeshwanth Nag & Ashwin Mocherla. The advisory board of The ThickShake Factory comprising of a stellar panel of industry stalwarts is headed by serial entrepreneur Dr. Anurag Batra, chairman of BW Business World and founder of media group Exchange4Media. The advisory board consists of mavericks like Dr. Velumani Arokiaswamy, the founder of the Rs 3000 crore valued healthcare Thyrocare, Jayant Kocchar the ex MD, Founder of Lacoste India, Barista, India’s 1st Coffee Café chain, Sagar Daryani of Wow! Momo, Srinath Sridharan, the head of GroupChairman’s office of Wadhawan Global Capital, which manages $22 billion in assets, Rohit Bayana Co-founder of Lumis Partners, a Private equity fund and Preeti Vyas Chairwoman &founder of VGC - one of India’s top design agencies. “We are having the vision to build a large consumer brand in the foodservice sector and are aiming at doubling our stores and revenues this financial year. This board meeting provided an excellent platform to discuss the strategic direction of the company in our segment”, says Ashwin Mocherla. The food tech and the QSR sector has increasingly seen rising investor interest off late with multiple deals happening in this space. Backed by the trust and confidence expressed by the stalwarts of the industry, we can surely expect the brand to shake things up in the coming months!